Illustrated with fun characters kids will love, My First Book of Gymnastics offers 10 simple and silly exercises along with step-by-step instructions to get young readers moving! It’s never too soon to teach the benefits of health and physical fitness. This fun follow-up to My First Book of Pilates encourages children and parents alike to get up and move! 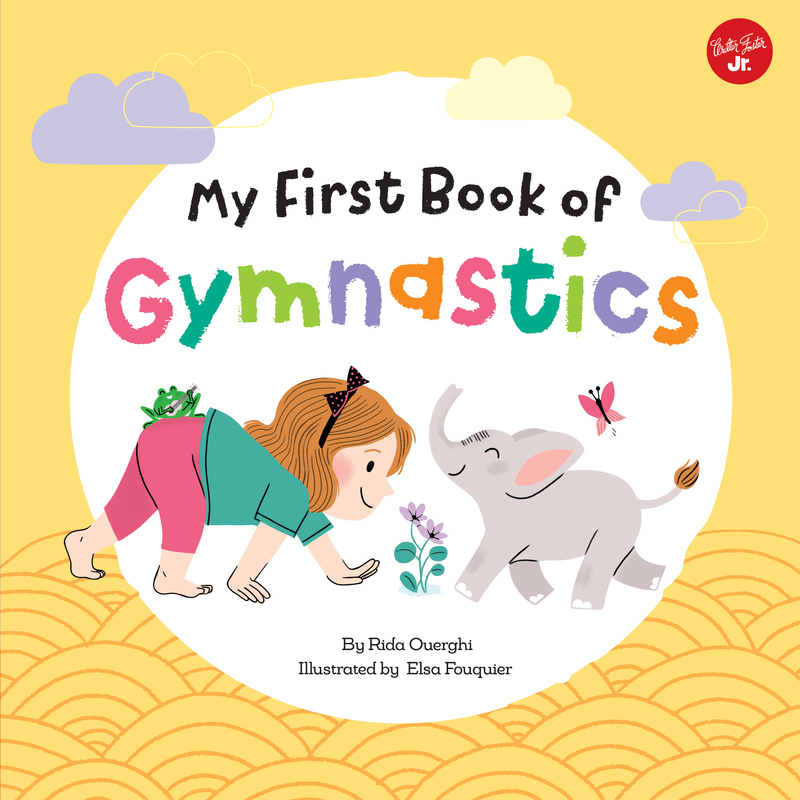 Featuring 10 poses and exercises for young children with a series of simple and playful movements, My First Book of Gymnastics shows kids how fun and easy gymnastics can be. Whether learning how to leap like a frog, crawl on your knees and elbows like a turtle, or slither like a crocodile, kids will delight in learning and practising each movement. By learning gymnastics, children will gain physical benefits of improved coordination, strength, and flexibility; not to mention key awareness of their body and a love and discipline for exercise and fitness. Rida Ouerghi is a physical education teacher at the Sorbonne Nouvelle University and a certified Pilates instructor.